It’s difficult for any business to remain profitable and successful for nearly 140 years, but it’s especially challenging for a family enterprise. In fact, less than one-third of family-owned businesses survive beyond the founder’s generation, and just 12% make it to a third generation of ownership, according to the Family Business Institute. 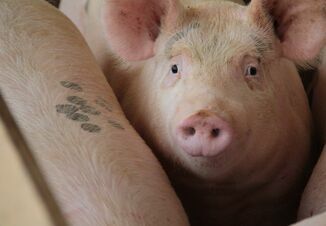 But brothers, Kent and Barry Holden, owners of Holden Farms in Northfield, Minn., have strong, underlying beliefs and a respect for people, land and animals that create the foundation for one of the largest pork operations in the country. Sixty percent of the firm’s sow farms are company owned, and 40% are contract sow farms, for a total of 55,000 sows. Kent and Barry are in the process of expanding by an additional 7,000 sows, to be completed in January. Holden Farms also operates three turkey farms, is part owner in a turkey processing plant and works with nearly 250 contract partners in the region. 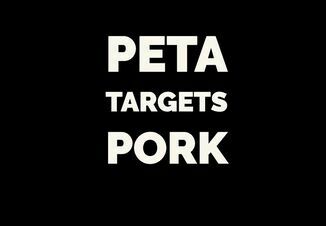 They sell pigs to Tyson, JBS and Triumph Foods and are among the top 20 largest pork producers in the nation. Howard Holden, Barry and Kent’s father, was far ahead of his peers in terms of succession planning, and unlike many of his generation, he wanted his sons to know his intentions. Barry even accompanied him to the meetings. Howard put all of his assets into the corporation formed in 1971, including his house and the three farms he owned at the time. In 1973, Howard passed away on Thanksgiving Day, at the age of 58. Kent was just 25 and Barry was 24. There were 500 acres but no cropland—it was all livestock with the bulk of it turkey production. They had a feed mill and had begun building hog barns. At that time, they had 100 sows, sold 150,000 turkeys per year and owned a breeder flock. The corporation was set up for each of the four sons, John, Kent, Barry, and Craig, to have equal shares of 10% and their mom to have 60% of the business. Holden Farms grew throughout the 1980s as the four brothers pioneered some of the region’s first contract partner arrangements for hog production. In 1991, John and Craig sold their portions of the company to Kent and Barry, who assumed sole ownership responsibilities of the hog farming operation plus a portion of the turkey production venture. Barry says his and Kent’s experience of working with their own brothers gave them a different perspective than their children have. The split was difficult, but because there were different business philosophies, they knew it was the right thing to do. “We knew we had to be separate but equal, and we knew the importance of having different roles. We were going to maintain the turkey business and grow the hog business,” he says. Kent took the production side, while Barry took care of the turkeys and the ancillary part of the legal contracts, including banking. They met regularly and decided to grow the business. There are disagreements, as there are in any business—family or otherwise. Communication and mutual respect kept the family moving forward. 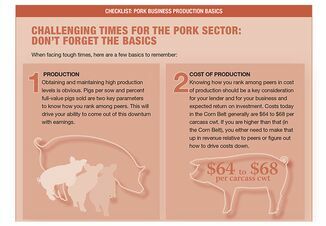 This article the first of a four-article series, and appeared as the cover story of the November/December issue of Farm Journal's PORK.